Arden Lloyd Larsen, 74, of Whiting, Iowa, passed away on Sunday, January 27, 2019, at Mercy Medical Center in Sioux City. Funeral services will be 11:00 A.M. Friday, February 1, 2019, at St. Peter’s United Church of Christ in Mapleton, Iowa, with Don Wood, CLS, officiating. Burial will follow in the Whiting City Cemetery near Whiting. Visitation will be 10:00 – 11:00 A.M. Friday, February 1, 2019, at the church. Arrangements are under the direction of Rush Family Care Service in Onawa, Iowa. Arden Lloyd was born on April 22, 1944, in Sioux City, Iowa, to Lloyd and Irene (Lindstrom) Larsen. He lived with his parents in San Diego, California, where his father was stationed in the military, and then the family moved to a farm near Sergeant Bluff, Iowa. Later, the family moved to a farm near Whiting, Iowa, and Arden graduated from Whiting High School in 1963. Following graduation, he attended heavy construction equipment school. He used this education to repair his own farm equipment, as well as for many other farmers in the Whiting area. Along with working as a lifelong farmer, Arden worked as a welder for Wilson Trailer in Sioux City from 1964 – 1968, and then for Tractor Supply Company in Sioux City from 1968 until he retired in 1988. After retirement, he continued to farm and to care for his parents, aunts, and uncles. On April 16, 1988, Arden married Karen Sue Stodden at St. Peter’s United Church of Christ in Mapleton. They lived on the family farm near Whiting until 1998, when they built their log home on an acreage in Whiting. 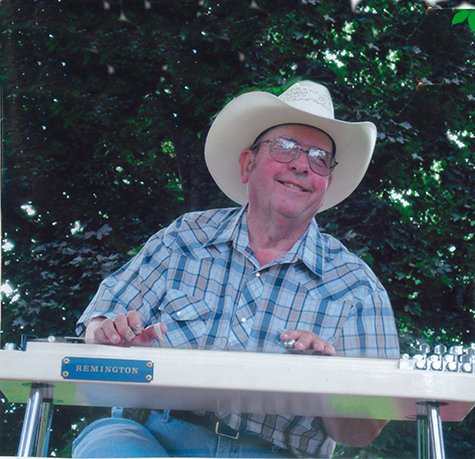 A favorite hobby of Arden’s was playing the steel guitar, which he did in the Monona Country Gospel Band from 1998 – 2018. He also enjoyed metalworking and woodworking. 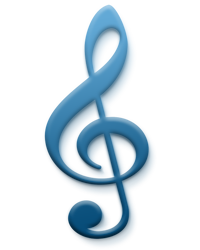 He was a member of St. Peter’s United Church of Christ in Mapleton and of the Northeast Iowa Steel Guitar Association. Survivors include his wife, Karen Larsen of Whiting, IA; one sister and her husband, Marlys and Jim Goedken of Muscatine, IA; and many nieces, nephews, other relatives, and friends. He was preceded in death by his parents, Lloyd and Irene Larsen.